Pupils meals are cooked on site to order: pupils choose their lunch at the start of the day. Menus are sent home termly and are on a weekly rota basis. Pupils in Years R, 1 and 2 are entitled to a free school dinner. There is now an app available to keep up to date with the food choices your child has at school. There is also fun food games and many receipes! Click the image below to find out more! 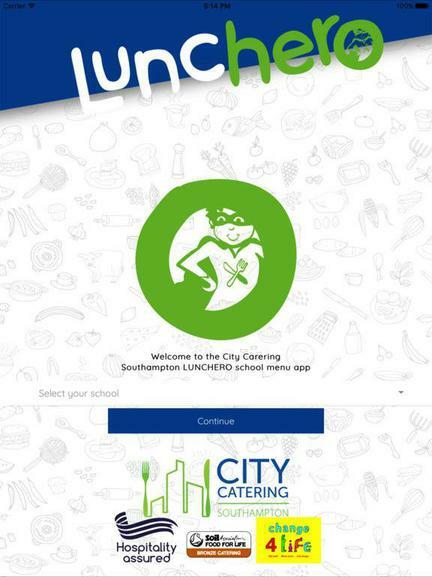 City Catering can provide a specially adjusted menu for pupils with medical allergies, who want to have a school meal. Please note that these special diets are for pupils with a medical issue only, therefore medical evidence of the allergy will be required before a menu can be adjusted. If your child requires an adjusted menu, please complete a Food Allergy Referral Form which can be found below at the link below, or from the school office, so that you can register with City Catering and ensure the school is aware of the allergy. Once the form has been completed please send it to City Catering at the address at the bottom of the page, or scan the form and email it, so that the menu can be adjusted appropriately. City Catering will respond to the request within three working days. If required, an appointment will be made between yourself and a City Catering representative to discuss any concerns.